Your child’s birthday is coming up, they have been talking about it for months, trying to give you hints at exactly the type of party they want. They have told you about every one of their friends’ parties that was extravagant and outrageously awesome. They have bragged about how those kids’ parents “must really love their kids” since they got such an awesome birthday party. You understand the competition between kids and their parties. You have been there before. Your child told you that Suzy had a petting zoo at her party, so now you have to do better than that. But even with the ridiculous parties parents end up throwing for their children, you know that a good party is what they really want. They don’t want the common party with pin the tail on the donkey, games, and water fights, although a good water fight is always fun. They want something to remember, to one-up all of their friends. Plus, they want to brag about their party and hear their friends do the same for weeks afterwards. So how are you supposed to plan a better birthday party than Suzy had? How are you supposed to come up with something that will be fun for everyone? That’s where we come in. 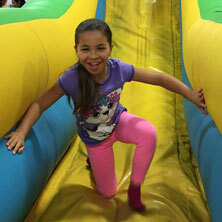 Jumpin’ Jamboree is the place to host your kid’s birthday party. A party at our fun-filled bounce house, with games, activities, and endless fun, is a party that your kid will love and their friends will be amazed at. Not only do we offer endless fun for the kids, but our party packages come with many great features included, to help you enjoy the party and worry less. First thing you have to do is figure out how many of your child’s friends can come to the party. We can host anywhere from 8 to 40 children, with additional children being an additional charge. Once you figure out the party size, whether super, outrageous, extravaganza, or any of our other party sizes, decide on a day. Depending on the day of the week, your party may be less expensive, saving you money while your kids have fun. Now let’s get to the good stuff. 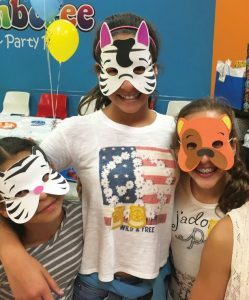 All of our party packages come with features to make the party go smoothly and allow the kiddos to have as much fun as possible. For starters, with any of our packages you get to use one of our private party suites for two hours, allowing you to do the cake, food, and present part of the party in a nice, secluded room. The kids will also have unlimited playtime in our facility. You don’t want to send the kids out to play still hungry! That is why we offer pizza and drinks for the kids, allowing them to fill their tummies before they go have some fun! Packages also include plates, cups, napkins, tablecloths, utensils, and party balloons, so you don’t have to worry about anything. You kid will enjoy sitting on their birthday throne provided by Jumpin’ Jamboree, and they will feel extra special when one of our mascots comes to wish them a happy birthday! Sounds amazing, right? A birthday full of fun, nothing to worry about, and your kid will go down in history for having the best party, and the best parents. But it gets better. We will set up and clean up everything for you! You can relax, enjoy your day, and have fun with your kids, we will do the rest. There are some additional things you can get with your party package. Make the party extra special, and worry about as little as possible with these add-ons! We offer birthday cakes or cupcakes that are decorated with your child’s favorite character! You can even get the rest of your party themed with these characters, giving your child the ultimate Avengers, Disney Princess, or other character birthday party! Plus many more add-ons to make your job easier and your child’s birthday even more amazing. Speaking of which, let’s get to the good part, the party is for your kiddo anyways, not you. Your kids will have endless fun in our bounce house party place. Our Kendall location has an 11,000 sq. ft. facility with wall to wall inflatable obstacle courses, jumps, slides, and games! Let your child and their friends play for hours in our inflatable fun houses, racing through obstacle courses, bouncing through fun, and sliding down the slides! This will tire them out and have them entertained for hours! And if the kids get tired of all the bouncing, we have a games room for them to play and win prizes! 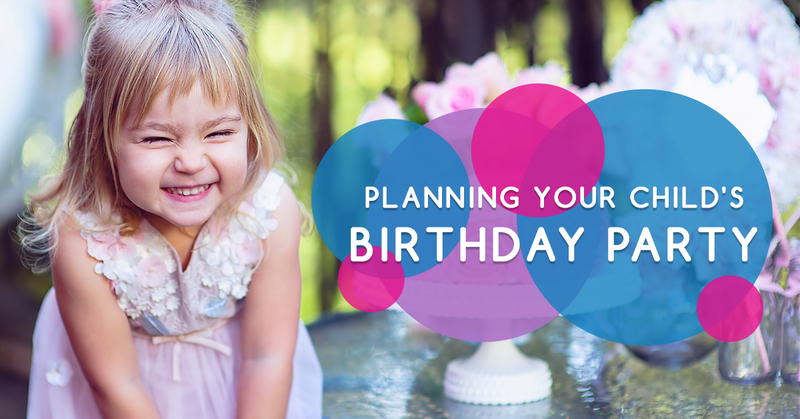 All you have to do is sit back and pat yourself on the back for planning the best birthday party for your child. If your kid’s birthday is right around the corner, get started planning their fun-filled party at Jumpin’ Jamboree! They will be more excited about their birthday than ever before! Contact us today to get schedule your party and let us do everything for you! Just show up and have fun!